I am a young developer based in Edinburgh, Scotland originating from Prague. I am interested in creating interesting websites and building RIAs. I am also a student of Artificial Intelligence and Psychology at Edinburgh University. I am looking for a part time job either as in-house or freelance developer/designer. Since I am a student I am looking for approximately ten hours per week. If you would like a beautiful custom built website, don't hesitate to contact me. 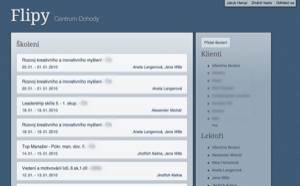 This webapp serves to show clients of a Czech training company images of flipcharts used in their training. I developed this microsite for a company that is part of the European Social fund's project for educating school directors in management technique. Also features an interactive e-learning application. A microsite for an EU project for training health workers in management and communication skills. 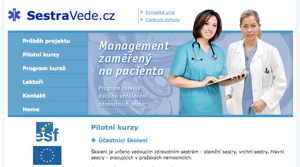 A Czech company that is specialized in training management, communication and teamwork skills. This is my longest running project and are currently preparing a redesign. Website for a Czech Opera singer I coded and designed. Features also a complete custom made Content Management System and multilingual support. To see more tweets, view my full Twitter profile.